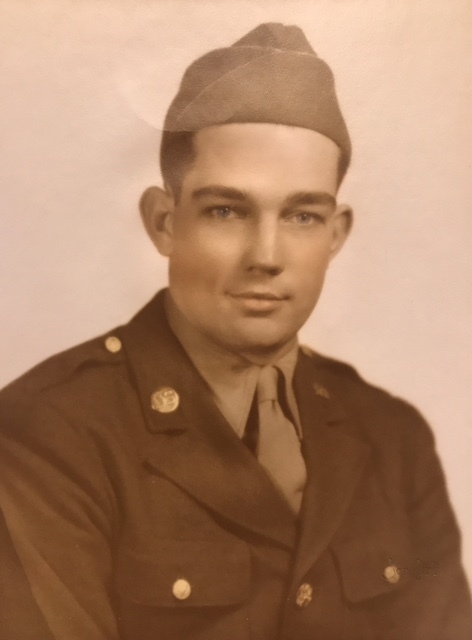 Jasper Donald Hutchison, age 96, of Worthington, passed away at 8:00 P.M. on Saturday, October 20, 2018, at Monroe Place in Bloomington. He was born at Point Commerce in Worthington on July 23, 1922, the son of Clyde & Cecil (Osburn) Hutchison. Don was a U.S. Army veteran of World War II, where he served in the 665th Engineer Topographic Company. He farmed with his father following his time in the military and became a part-time rural mail carrier. He became a full time mail carrier and worked for many years, along side his wife Betty, who worked as a clerk and later Postmaster for the Post Office. He was a member of First Christian Church, the Odd Fellows, Knights of Pythias, American Legion, VFW, all of Worthington, and served for 29 years on the Eastern Heights Utility Board. Don is survived by a daughter, Brenda (Thomas) Heinrich of Bloomington, grandsons, Walter (Charity) Heinrich & Joey (Kimberly) Heinrich, great-grandchildren, Kaleb, Carston, Anna, Claire, Grant, and Benson Heinrich, and several nieces and nephews. He is preceded in death by his parents and his wife, Betty J. (Dyer) Hutchison. Funeral service will be held at Welch & Cornett Funeral Home in Worthington at 1:00 P.M. on Saturday, October 27, 2018. Burial will follow at Worthington Cemetery with military graveside rites. Visitation will be held at the funeral home on Saturday from 12 noon until the time of service.